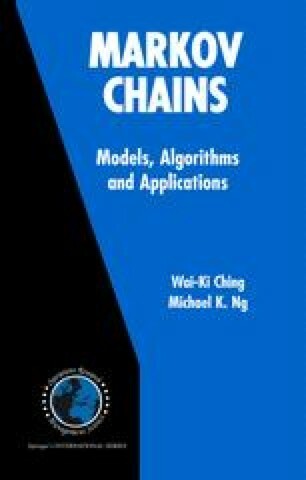 In this chapter, a higher-order Markov chain model is proposed with estimation methods for the model parameters. The higher-order Markov chain model is then applied to a number of applications such as DNA sequences, sales demand predictions and web page predictions, Newsboy’s problem. Further extension of the model is also discussed.